Drobo has introduced the new 5N2 network attached storage device, an update to the 5N, and the company says it’s the fastest 5-bay DROBO NAS yet. The 5N2 includes two 1 Gb Ethernet ports (for two-unit connectivity), an upgraded processor (making it twice as fast as the 5N) and DroboDR (a disaster recovery solution), plus DroboApps (for remote access of files and smartphone/tablet connectivity). Among Drobo’s BeyondRAID technology features are 64 TB file system support, single- or dual-disk redundancy and hot-swappable drives. The 5N2 can accept HDDs or SSDs, and allows users to employ different brands, capacities and speeds for flexibility. Drobo is targeting media professionals, small businesses and home users with the new 5N2. Creatives might find the device’s speed, versatility and portability appealing in a studio environment, working in tandem with cloud storage. The unit’s desktop platform is 5.9 x 7.3 x 10.3 inches (WxHxD). The 5N2 is available now with a two-year warranty, priced at $499. The company is offering Drobo FS and 5N customers $50 (US) off the 5N2 when purchased through drobostore.com through April 4, 2017. The 5N2 is perfect for the connected home and Small to Medium Businesses (SMBs) who want a simple, safe, and smart storage solution. The 5N2 has secure remote access and enterprise level DroboDR functionality. The 5N2 also includes access to DroboApps, which extends the functionality of Drobo NAS devices. Applications such as DroboAccess (private cloud solution) and DroboPix (mobile pictures and video management) allow users both privacy and security of their data on a Drobo they own — unlike public cloud solutions. The 5N2 is the fastest 5 bay network attached Drobo ever. This allows for superior performance for data intensive applications that most connected homes and small businesses have. To ensure data is safe, the 5N2 also comes with the DroboDR software solution developed by Drobo. With DroboDR, users can set up a pair of 5N2s to make an offsite copy of data. DroboDR is simple to setup and manage and replicates data to another 5N2, ensuring availability in case of disaster. Furthermore, the remote 5N2 stores all user account information, resulting in a quick and painless recovery with a single click in the Drobo Dashboard. The Drobo 5N2 also comes with an internal battery that protects against data loss during a power outage. The 5N2 is the 7th new product introduced after the company underwent an acquisition and management change in 2015. 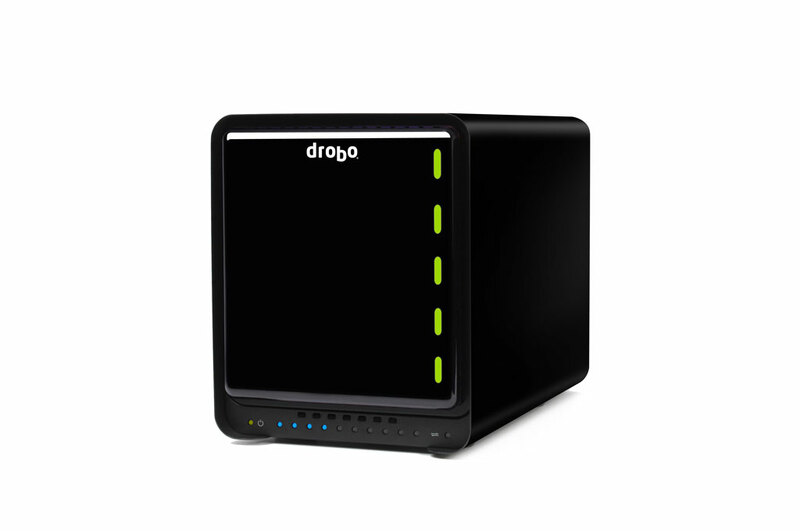 Drobo is committed to introducing innovative products that preserve simplicity and customer confidence. The 5N2 includes a two-year warranty to extend peace of mind for users. The Drobo 5N2 is available today at an MSRP of $499 USD through www.drobostore.com and select channel partners. Drobo is offering Drobo FS and 5N customers a $50 USD discount when they purchase a new Drobo 5N2 through www.drobostore.com. US customers will also receive a limited edition GelaSkin if purchased on the US Drobo Store. The limited edition GelaSkin offer and $50 rebate are valid until April 4th, 2017 or while supplies last.